Attractive football trophy made in durable resin with a silver and gold colour finish. 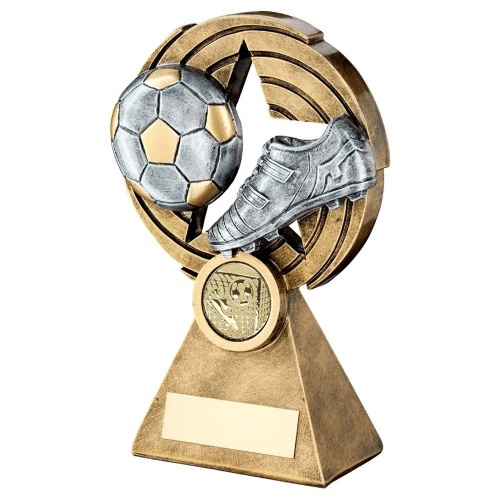 Features a football and boot set on a circular backdrop with star motif, mounted on a pyramid style base with 1in centre and engraving plaque. Available in three sizes, offered with text and/or logo engraving options.